For me this year was all about change. I relocated to a new city, said goodbye to my dear grandmother, traveled to Canada, and transitioned through many other adjustments. Collectively, these chapters shifted something in me, my inner voice telling me to focus on simplicity. How I am feeling usually also translates over to my connection with my analogue system, therefore, it only made sense to try something new among all the changes and my strong desire to simplify. 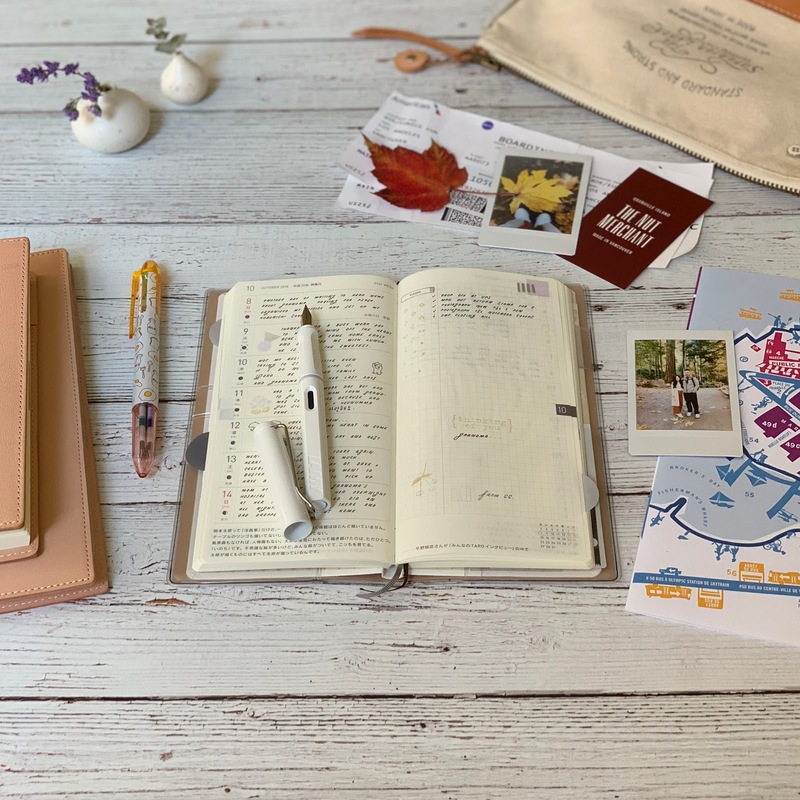 Being a creature of habit, it was a bit nerve-wracking to veer off from my usual Traveler's Notebook inserts, but I am really excited to embark on my 2019 analogue adventure. I received the Hobonichi weeks as a gift in 2018 and put it away after stroking the beautiful Tomoe River paper not even giving it a second glance. Recently I got an urge to test it out and completely fell in love with how it felt in my hands and how it made me feel when I wrote in it. 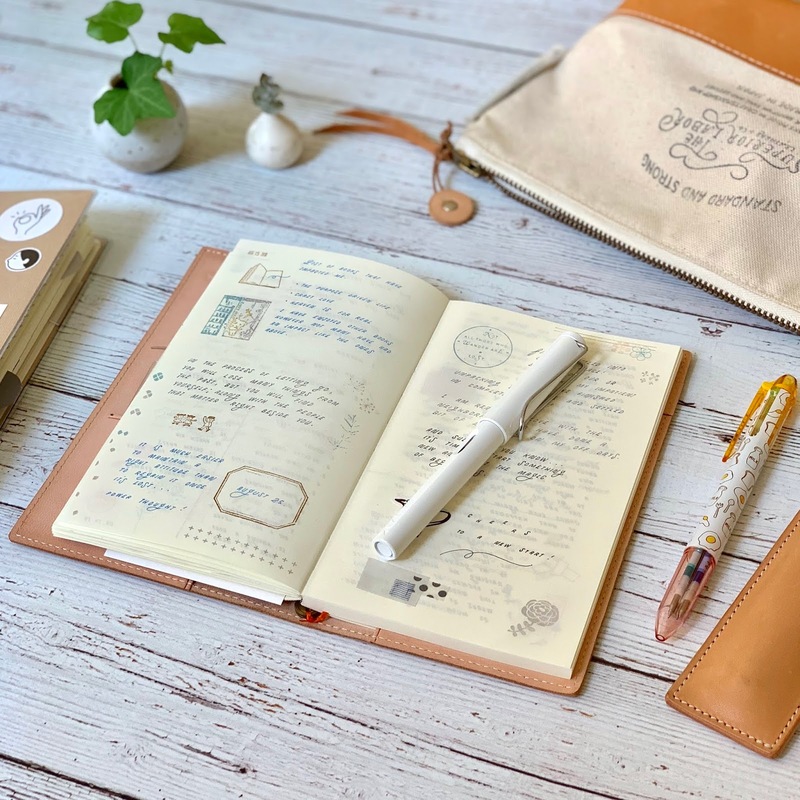 Most importantly, it also served functionally in terms of how I love to use my planner to organize my daily life in just one notebook. It's compact, but the lightweight structure and minimalistic layout are a few of the key points that stood out to me. 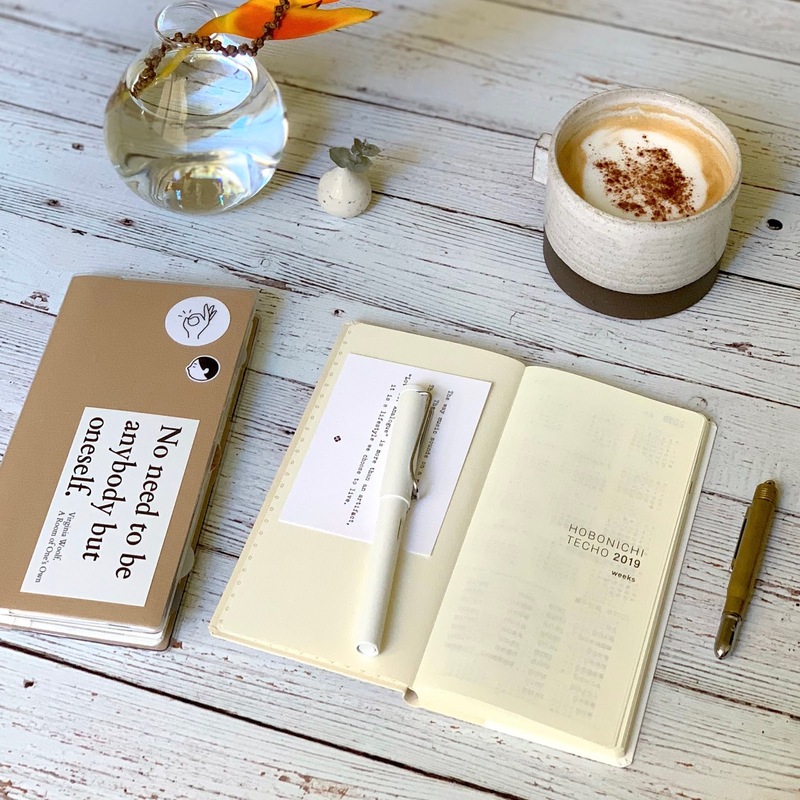 I also had fun picking out some neutral paper to make my own cover, embellishing it with a current favorite quote and some stickers and look forward to using it as my main planner system in 2019. - The monthly section: is used to record birthdays, appointments, and important points while adding bits of color and fun at the same time. - The year at a glance section: is where I plug in all my monthly bills that are due and check them off with a ﻿mildliner when I have finished making the payment. 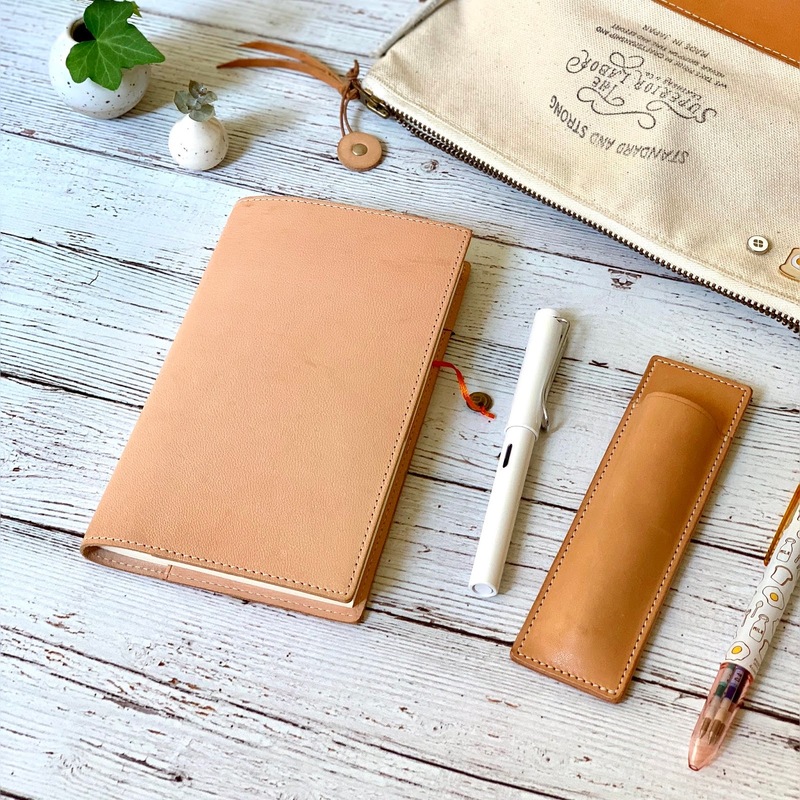 - The week + memo section: the right side is where I use my own bullet journal type system to record all my tasks that are due for that week and check them off as I go along. Any leftover space is dedicated to adding some color, collage, or write something that inspires me. The left side I leave for anything my heart wants to transcribe. Sometimes it's what I did that day, how I am feeling, or something I am thankful for. If I want to give myself a reminder that a task needs attention on a specific day I make sure to write it in accordingly in the weekly portion. - The notes section: there is a section in the back with an ample number of pages. I haven't used it yet (besides to use one page as a pen testing page) but I imagine I will use it for shopping lists, books I want to read, my thank you notes list, the possibilities are endless! In April of 2018, I wanted a very minimalistic blank canvas with exceptional paper quality to document solely as a journal. It was important for me to be able to write pages upon pages of my feelings with no structure or restrictions while at the same time giving me the freedom to be creative on the days I wanted. It has worked out beautifully for me, and I adore it so much. I find that I reach for it often when I really need to write down my thoughts, dreams, or anything I want my future self to remember. I love that it is there for me when I need it with no pressure of having to fill in sheets that consist of pre-printed dates. I finished half of the notebook so far and plan to continue using this combination for the upcoming 2019 year while enjoying watching the leather cover continue to patina. Due to many creative projects at the studio, I find that I need a bit of a larger space to brainstorm and put ideas together. I am not used to this larger size format but have been enjoying it very much as it gives me space to be messy and go through the design process. It will be my workhorse as I venture through many new and inspiring projects for 2019. I know... by now you are probably wondering when I am going to mention the Traveler's Notebook. I decided for this upcoming year not to give it a dedicated intention and let it be there for me when I feel inspired to use it. Trust me, it was not an easy decision as I feel a deep connection with it just by simply holding it. The beauty of all these analogue systems is that you can change them at any time just as your needs change depending on the flow of your life. Whichever system you have selected to be your companion(s) for the upcoming 2019 year, I hope that it brings you joy, inspiration, and fulfills the purpose of your heart and dreams. Your posts are always so enjoyable to read! Can you please tell me here you got the plastic cover for the Hobonichi Weeks? Thanks! Everything Eunice creates lifts my spirit and makes me see the world in a much more beautiful light. I love watching/reading how others use their analog planning systems, finding ideas and inspiration. 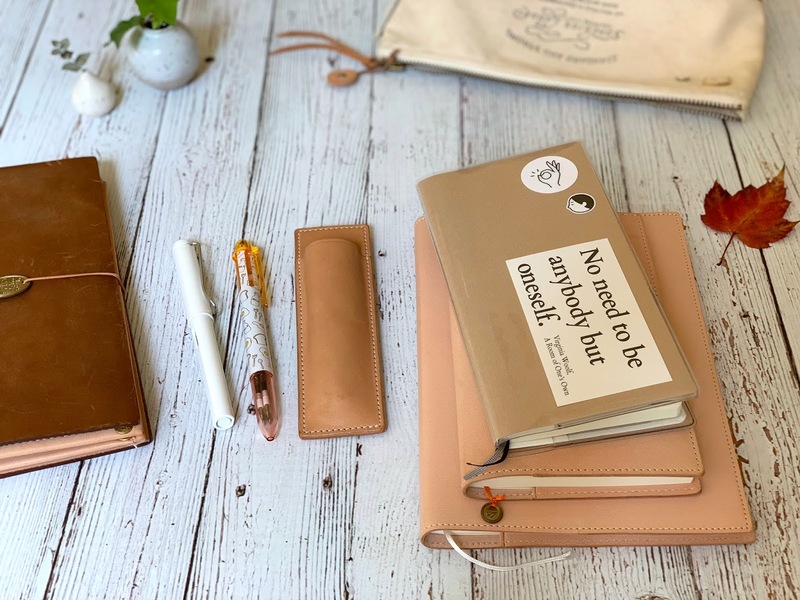 I’m changing things up to the much less structured/simpler Midori MD Notebook Diary A5 thin and B6 Slim to start the coming year and my beloved traveler’s notebooks/inserts to document my life and project planning. I bought a Hobonichi Weeks to track my finances and now I know what to do with the Year-at-a-Glance/Monthly section! Thanks! Thank you Eunice for these tips. I ordered the Weeks mega and wasn’t quite sure how I would set it up – now I know. Your post is much appreciated. Inspirational as always! 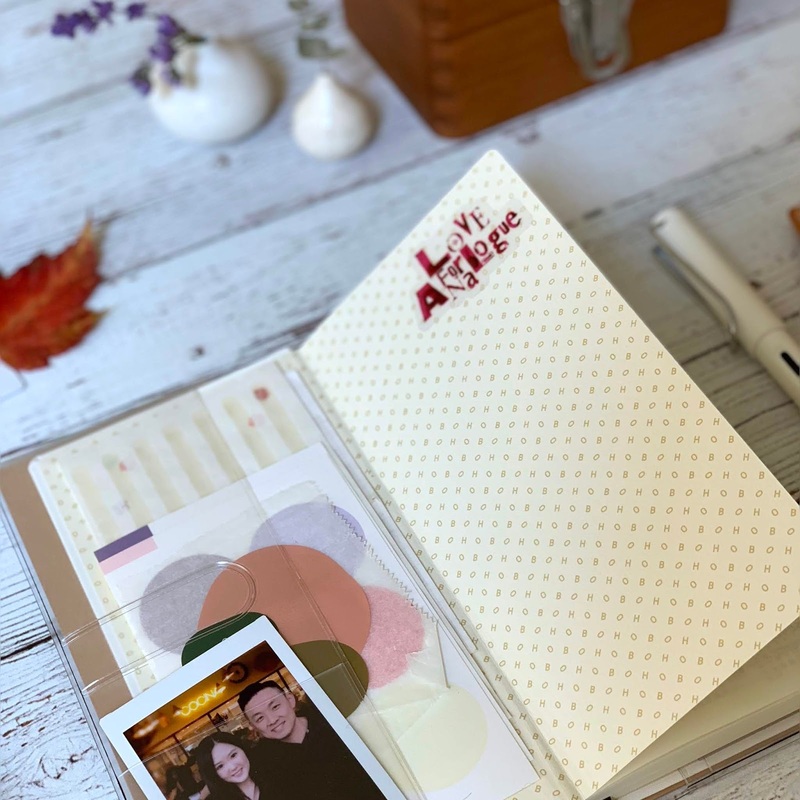 Where can I find the clear cover for Hobonichi Weeks? You are always inspiring, Eunice! I miss you so much in the shop. Happy to see that you are “green and growing”, as my dad used to say.